It’s just after 8:30 Tuesday evening. I’m sure many people who read my regular ramblings think, “Oh, she is posting early tonight.” I guess in a way that’s true, but in reality it is the end of a fourteen plus hour day. It’s getting near crunch time for my upcoming shows, as well as trying to sell on etsy, and in our local wineries. I’m pushing myself as hard as I can to produce as much as I can, but I care so much about what I do, and the quality of what I produce, that I am not getting as much done as I’d like. That being said, with what I have already sold, and the two Dan left with winery gift shop managers, I have made 98 pieces. I didn’t want to fill my blog with photos of fairies every day, but I’m so tired that I am putting up some of what I did today. I just don’t have an ounce of creativity left in me right now, and my back is killing me from hunching over my work all day. 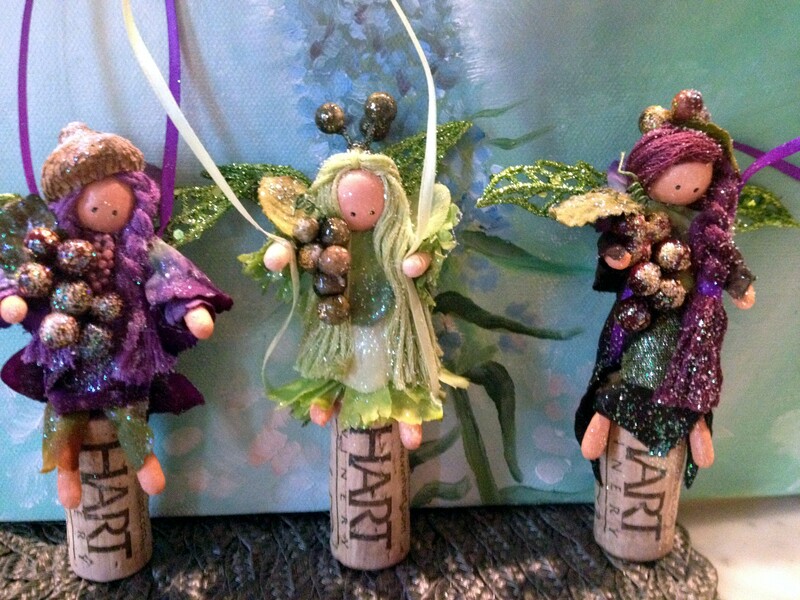 The good news is that Dan brought my “wine fairies” to the wineries today and two of them are considering carrying my item. Dan has been saying for years that I should be supporting him because of how talented I am. I never had the confidence to really try. Now as we find ourselves in a not so great situation I am feeling like I need to push myself. I am finally at a point in my life when I feel like it’s OK to say that I’m good at something. Of course that doesn’t mean I had enough courage to bring my own stuff into the wineries, Dan as always stepped up to the plate. We will know next week if we are in. It could be a fantastic opportunity. I know I shamelessly promoted my esty site here a few days back, but I came up with what I think is a brilliant idea. You know all those wine corks you save from special occasions? I’m turning them into keepsake ornaments. 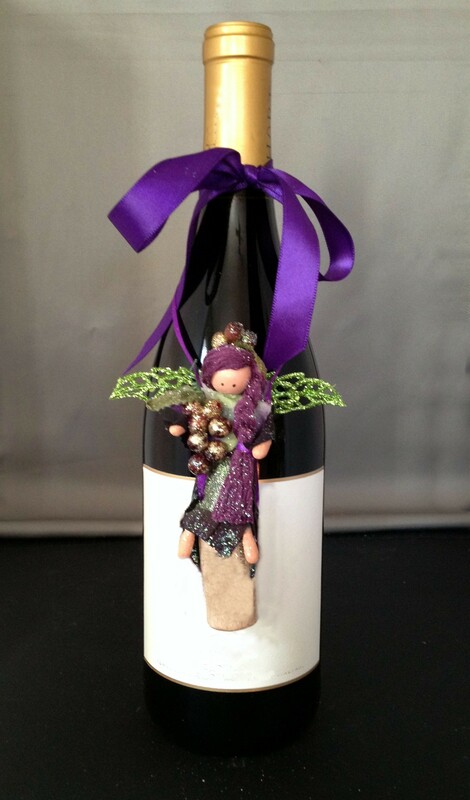 I advertised on my etsy site for people to send me their wine corks with info about their special event and I will turn it into an ornament accompanied by a tag conveying the info. In the process I am recycling corks. Recycling is never a bad thing. 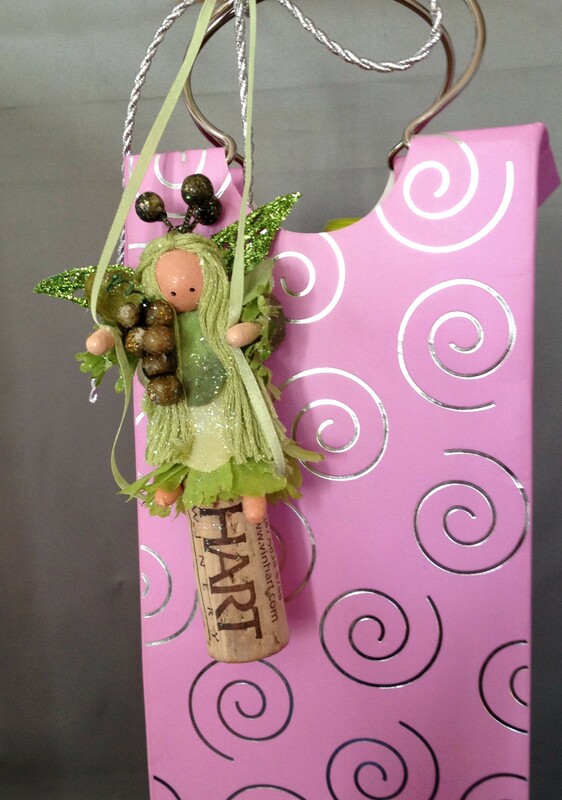 The wine fairies I obviously have much, much more, but I am so beyond tire at the moment that I am calling it an early night. I’ll be back at the table tomorrow. 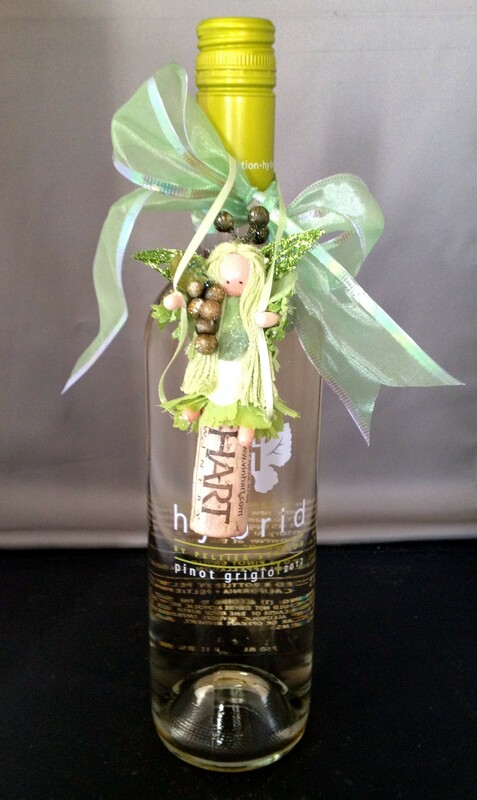 This entry was posted in art, Art and my life, Fairies, Family, Fine Art, Holiday Ornaments, Uncategorized, Words, Writing and tagged art, Family, Fine art, loving words, Photograph, projects, self esteem, thoughts, Upcycling, Visual arts, Winery, writing. Bookmark the permalink.